Games are an interactive way for everyone to portray their inner child. Ananda Mela as it translates to the Festival of Joy, will have many activities and games for fun to involve all ages and provide them an opportunity to have engage themselves through diverse games. Games will range from simple to active and physical games that energize you! Along with involving everyone, Ananda Mela games have another purpose. 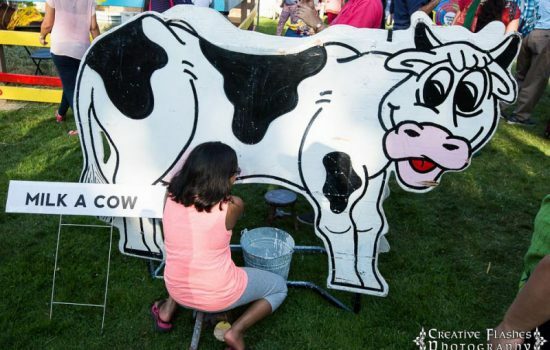 They captivate the audience not only through fun but also teach people about some simple and overlooked activities such as cow milking and conch blowing. The prime attraction for children is always the bouncy houses and rides. Ananda Mela has plenty of inflatables to engage children all day. These comprise of slides, bouncy toys, obstacle courses, and more! 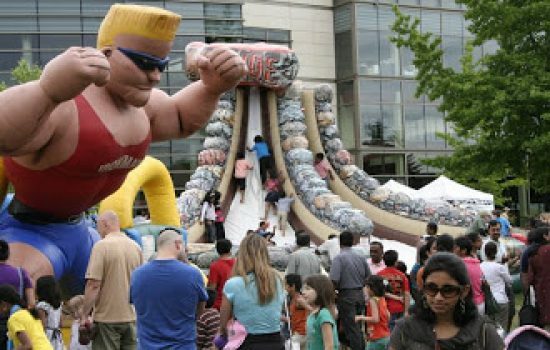 There are even inflatable toys such as cows, monkeys, necklaces, swords, and other interactive items for children to play with and buy. This game revolves around balance and coordination. 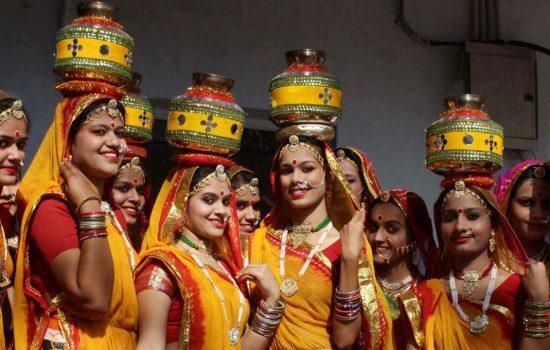 Each individual is required to take a pot and balance it on their head from while racing. The pot needs to stay on the individual’s head the entire time while they are racing. In the case that it falls, one is out. Conch shell blowing is an engaging and highly interactive activity for all ages! Although it is difficult at first to get the proper breath structure, practicing, trying, and retrying is all part of the experience. Once you finally get the hang of blowing it, the conch has a satisfying and rewarding sound. In India, clarified butter is called ghee. It is the most precious substance provided by the most sacred animal, the cow. Churning is the process of shaking up cream or whole milk to make butter, usually using a butter churn. Butter is made from cream that has been separated from whole milk and then cooled; fat droplets clump more easily when hard rather than soft. However, making good butter also depends upon other factors, such as the fat content of the cream and its acidity. 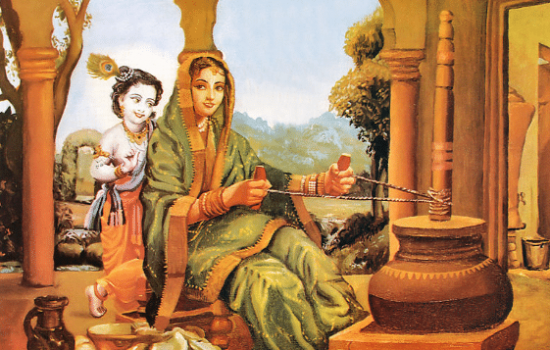 Churning butter is to this day practiced in India and is the most simplest and purest form of deriving butter. Cow milking can be a lot more fun than it looks! 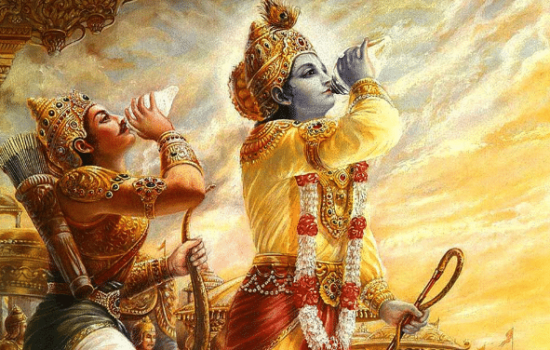 The cow is a sacred animal to the Vedic culture as she gives us milk which leads to the creation of many other essential foods. Thus, she nurtures our health and well-being. Come join us in milking a cow hands-on, an opportunity that you won’t find often! It is engaging, fun as the milk sometimes splatters here and there, and a memorable activity.